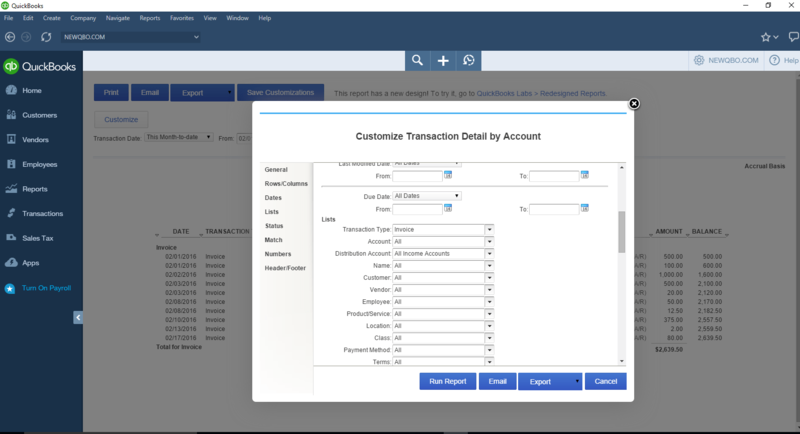 Run Transaction Detail by Account report. This customized report should show income by invoice. Filter for Invoices for the time period as needed. You can further customize the columns (add or remove) by selecting “Change Columns” button. 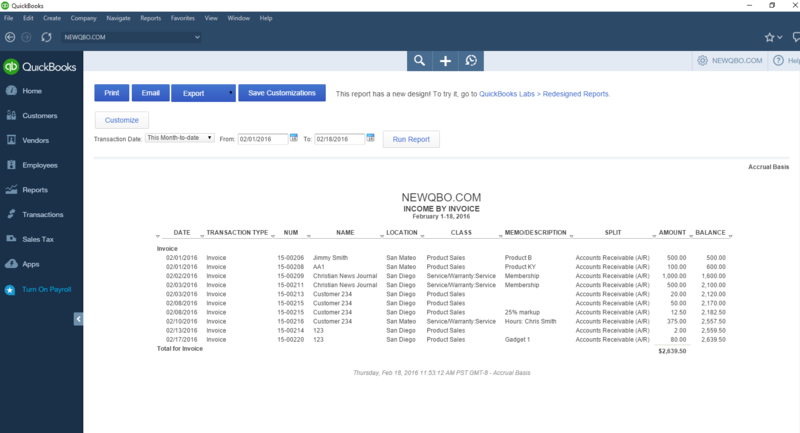 Save Customizations button, to make it your own customized (memorized) report.